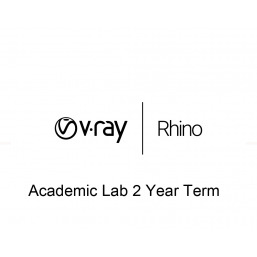 V-Ray Next for Rhino - Now Available! V-Ray for Rhino is a highly accurate renderer for McNeel Rhinoceros, enabling designers to predict and present their designs with the highest level of realism and reduce the need for physical prototypes. V-Ray greatly increases Rhino’s ability to handle large scenes and can be used directly within Grasshopper. V-Ray Next for Rhino is much more than a do-it-all renderer that creates gorgeous images of your designs. It’s also a full suite of tools to help you accomplish more in Rhino than ever before. V-Ray Next makes it easier to manage everything in your scene— even the crazy complex ones.